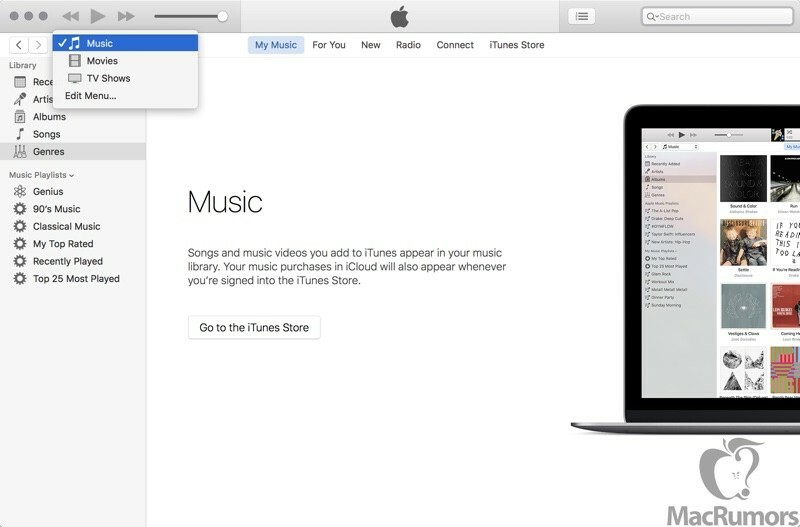 Back in February, iTunes chief Eddy Cue promised a new version of iTunes would be coming out with OS X 10.11.4, featuring a simpler design that makes Apple Music easier to use. That update wasn’t included in OS X 10.11.4 and has been delayed, but a source has shared some screenshots of the upcoming iTunes 12.4 update with MacRumors, giving us a look at the changes Apple plans to introduce in the near future. A redesigned dropdown media picker will be used to switch between Music, TV Shows, Movies, and other content, replacing the existing navigation icons. Like the current menu, the new menu is customizable, so sections of iTunes that are not used can be hidden from view. Forward and back buttons can be used to navigate between different sections. A persistent sidebar located on the left side of the app is being added, which will make it easier to access different portions of an iTunes Library like specific songs or albums. The sidebar, like the menu bar, can be edited to show desired content, and songs can be dragged and dropped to playlists. Menus in iTunes 12.4 are being simplified to make them easier to use, and the available content in Library can be customized using the redesigned View menu. Menus will be "easier to use" updated with new navigation options. The mini player will also get some slight design changes, with the Up Next song feature being relocated to the right side of the player where it is more clearly visible. 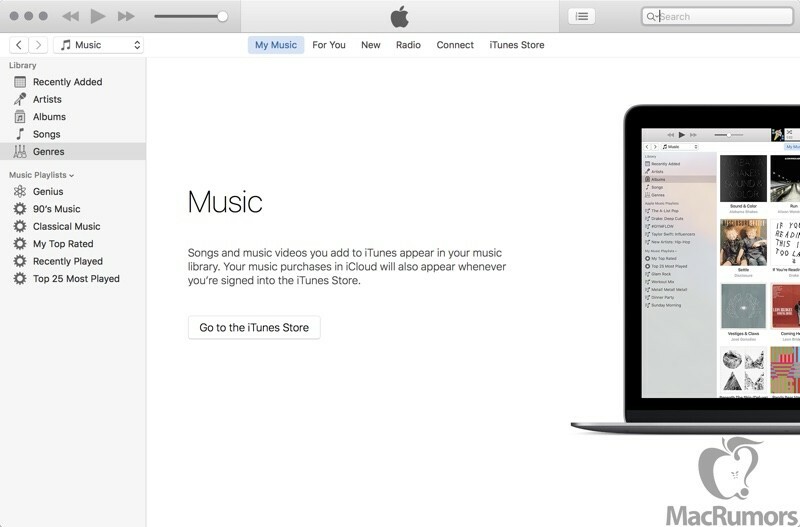 It is not clear when Apple will debut iTunes 12.4, but our source says it should be released within in the next few weeks, putting a launch date in late May or early June. Rumors have suggested Apple is also planning to introduce significant changes to Apple Music in the iOS Music app in iOS 10, and additional tweaks could be made to iTunes in OS X 10.12 to mirror changes being introduced in iOS 10. They could make a spinning-wheel based UI that selects functions at random, and it would be nearly as usable as it is now. Any change is welcome, especially the [S]reintroduction[/S] addition of a persistent sidebar. So basically they redesigned an app that was already fine, made everything worse, and now they're slowly changing it back. I like sidebars. They have great salad and beverages. So when's the colour and contrast going to return? This isn't the 1980s, we have wonderful things like bitmapped displays and RGB pixels now. It'd be nice if Apple realized this and started designing their GUIs with a bit of depth again. some small improvements. Still needs to be burnt to the ground and rebuilt from scratch at this point. The screenshot in the first screenshot has separate My Music and Apple Music playlists in the side bar. Hopefully they got Taylor Swift's pre-approval. I don't understand why people hate so much on iTunes so much, it does the job. It does TOO MANY jobs. Don't you know, they got fired when Scott Forstall was let go. Chief Jony took over.